Lo Bloo are a Swedish brand of groin guard that aim to out-perform the current market, and offer a selection of different cups. 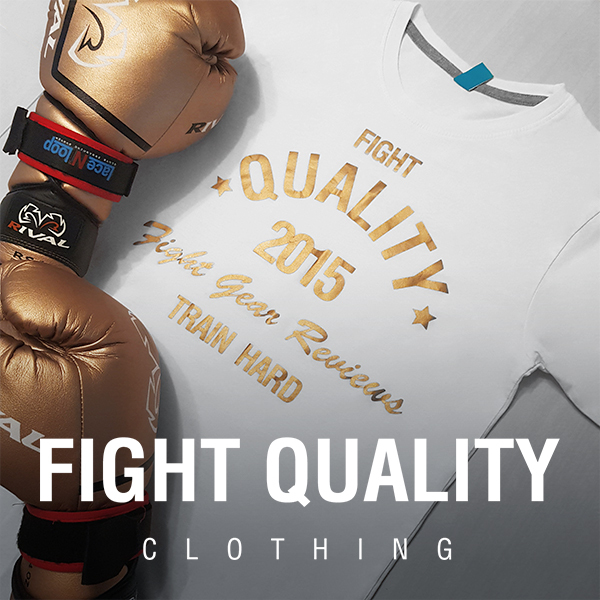 The brand is run by Usama Aziz – a two time Olympic wrestling competitor, Swedish national boxer and European MMA fighter. They sent us over one of their Aerofit Groin Guards to hear our thoughts on them. The Lo Bloo Aerofit is their standard groin protection, suitable for a range of contact sports, and is a solid plastic cup, rimmed with rubber, and held in position with a wide elasticated waist and thin elastic leg straps. Available in three sizes – ‘youth’, ‘junior’ and ‘adult’. The Lo Bloo groin guard is extremely lightweight. For example, compared to the RDX Metal Groin Guard we’ve previously reviewed it’s literally half the weight – the RDX weighs 200g, while the Lo Bloo is just 100g. There’s not a lot to say about the aesthetics on a groin guard, they’re never normally seen so aesthetics isn’t always a huge concern. However the Lo Bloo does look good – a solid moulded plastic cup, with an embossed diamond pattern and the Lo Bloo logo across the front. The only drawback as far as aesthetics goes is the fact that at the moment it’s only available in one colour. For most people this isn’t a huge problem, as the guard will often be worn below shorts, however it can just as easily be worn on the top of compression shorts or tights, or similar clothing. The current colour is a dark yellow/orange colour, which does look great and is good to show off, however some people prefer a bit more choice in colour. Fortunately, Lo Bloo have hinted that there may be more colours arriving in future. As it’s moulded from one solid piece of plastic, there are no joints or anything across the groin guard. Even the leg and waist strap are threaded directly through the cup rather than attached to it (we’ll come back to this in a second). Overall the craftsmanship is top notch, this is a very well made product. In terms of materials I haven’t been able to find what sort of plastic the cup is made from, but the Lo Bloo website lists it as ‘pro grade’ to deal with the toughest of situations. This is where the groin guard stands out, this groin guard is so comfortable. It’s a little difficult to get the right fit initially, (Lo Bloo actually offer a tutorial video – as found below – to help you get it fitted correctly) but once you have it sorted it’s extremely comfortable and makes sure it doesn’t shift when you’re working out. The light weight of the cup makes it feel like wearing nothing at all, and the protection is great – I actually took a knee directly to the cup during my test, and other than the shock of being hit in a sensitive area, it didn’t stop me from finishing the round. The straps use Lo Bloo’s patent system which allows the guard to stay in place regardless of your movements. It does this by using two elasticated cords around the legs, and an elasticated waist band, all of which are adjustable. These straps make sure it’s held tight at all times, and do a pretty good job too. Lo Bloo claim to be the only cup that truly stays firmly in place no matter how you move. The cup itself is contoured to cover more of the groin without sacrificing any range of movement – throwing high kicks is just as easy with the guard on as it is with it off. The edge of the cup is also covered with a soft rubber rim, which helps the guard sit comfortably. The fact it’s held in such a natural position, plus the fact that the cup is so sturdy mean that overall it provides great all round protection. Retailing on Amazon for £32 it’s a little on the expensive side, however the protection, comfort and lightness of the cup makes it more than worth the money. They also have different sized guards for children and also a female groin guard.